Barry Urquhart, Managing Director, Marketing Focus, Perth, is an inspiring speaker, author of Australia's top two selling books on customer service and an international consultant on dynamic innovation and creativity. He is one of Australia's most active keynote speakers and is an internationally recognised authority on quality customer service, consumer behaviour and creative visual merchandising. Marketing Focus is a Perth based market research and strategic planning practice. The firm and Barry consult to multinational, national and local entities in the private sector and the public sector. Each year Barry Urquhart travels some 300,000 kilometres on five continents to deliver up to 120 conference addresses and to facilitate some 15 strategic planning workshops. Barry is a former lecturer in marketing and management at the Curtin University of Technology and has degrees in marketing, political science and sociology. His sixth and latest publication is "Marketing Magic – Streetsmart Marketing". 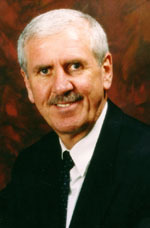 Barry is renowned for his conference presentations, "Business Warfare" and "Breakthrough Merchandising" and "It Is Better To Be Different Than It Is To Be Better". His address, "Service that Sells" focuses on the need for improved customer service to achieve enhanced sales, profits and customer satisfaction. Barry Urquhart contributes to 42 marketing, business and trade magazines on five continents, records weekly commentaries for the national network of ABC Radio and a monthly feature for the in-flight audio magazine, "Strictly Business".